Maggie 先生 ABC レッスン　（名古屋　英会話スクール　Action! 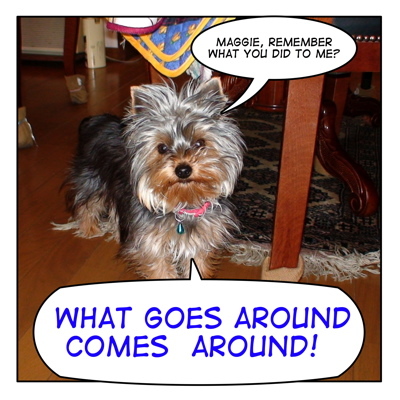 Language Academy）　公開ブログ　W: What goes around comes around. W: What goes around comes around. Cookie : "Maggie, remember what you did to me?" One must reap what one has sown.